Small businesses need protection against today's sophisticated cyberattacks and zero-day threats. 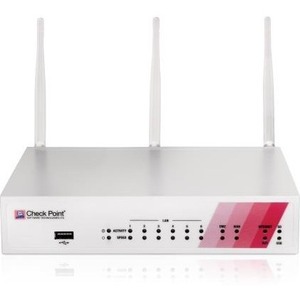 Check Point 700 appliances are high performance, integrated devices offering firewall, VPN, antivirus, application visibility and control, URL filtering, email security and SandBlast Zero-Day Protection (sandboxing), all in a compact desktop form factor that is simple to configure and manage. Simplify security management with optional Managed Security Services.